ClaroLux® has emerged as one of the leaders in the high-end, custom copper landscape lighting fixtures business. Not only are all of their products made right here in the USA but ClaroLux® also offers custom designs and colors for special projects. With every landscape lighting project being unique, ClaroLux® has emerged as the go to source for specification grade outdoor lighting fixtures. Architects are now choosing ClaroLux® for custom stained copper fixtures and custom powder coated fixtures to match the paint on the surrounding estate. 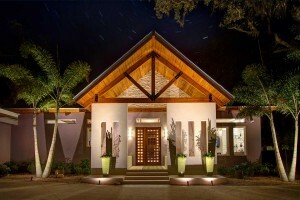 Every project has its unique properties and ClaroLux is there to help fill the need for these custom landscape lighting fixtures. Recently, ClaroLux® was involved on a large 500+ light project in Tampa, Florida. The estate was 100+ years old with copper accents that required the new copper landscape lighting fixtures to be stained to look as if they have been on the property for many years. ClaroLux® created an environment that created an old world look with newly designed LED landscape lighting fixtures. If you are in the market for a high-end, custom landscape lighting system, ClaroLux Landscape Lighting® is your answer. 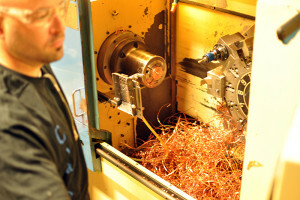 No one beats our quality or craftsmanship! ClaroLux – Landscape Lighting Fixtures That Are Proudly Manufactured In Greensboro, NC, USA. Congratulations to Pete Bryant and his staff at Southern Lights for winning ClaroLux’s 2013 Lighting & Design Award. Pete has been involved in the landscape industry since he was 15 years old. He started his parent company Southern Exposure Landscape Design in 1995. Pete is a graduate of the University of Appalachian State. Southern Exposure & Southern Lights are based in Pete’s hometown of Greensboro, NC. 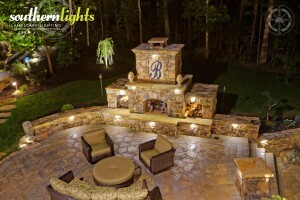 With Southern Exposure designing and installing all of the landscapes and hardscapes; and Southern Lights bringing everything to life at night…they have you covered from start to finish. Pete is a one stop shop for the landscape that you have always dreamed about. Congratulations to Pete for not only winning ClaroLux’s Lighting & Design Award in 2013 but for also receiving his CLVLT certification from AOLP. We are proud to have customers like Pete who take pride in their work and only use the best possible products on the market. 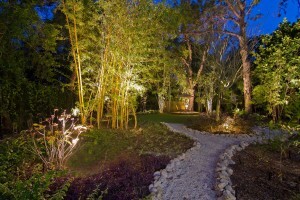 Thanks again Pete for choosing ClaroLux Landscape Lighting Systems to illuminate all of your beautiful work. Josh Wynne Construction LEED Platinum Certified Contractor. 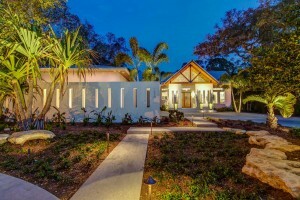 They are nationally recognized as an industry leader in the green community. All of Josh’s homes are built with the highest standards and top notch materials. We thank you guys for using ClaroLux Landscape Lighting Systems on all of your projects.